One of the main tourist destinations in Italy is Cinque Terre, located on the Ligurian coast in the northwest part of the country. This means that it is often overrun with tourists, and despite consisting of five distinct villages, it is quite small. However, it is a good base to stay and from which to discover other nearby gorgeous places that are just as stunning, if not more so. 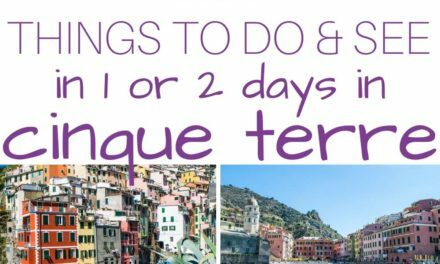 Here are my favorite day trip ideas from Cinque Terre. 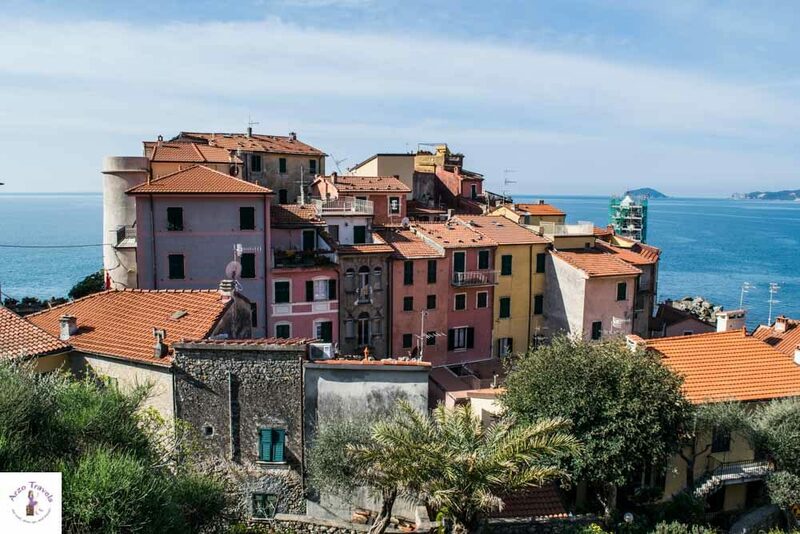 I recommend staying in La Spezia, which is a small town just before you reach the first village – because you can’t really drive in Cinque Terre with your car. This means that you will have to get from La Spezia to Cinque Terre by train. 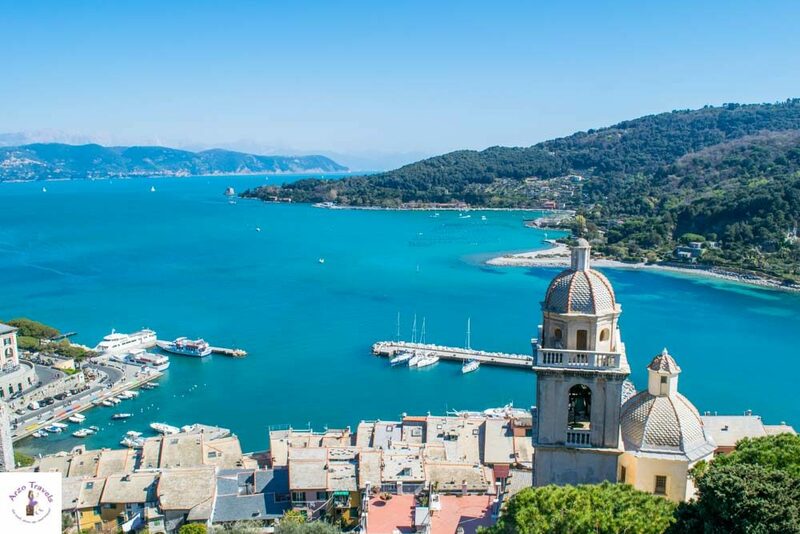 Of course, you can stay in Cinque Terre, but if you choose La Spezia instead, it is cheaper and more convenient for traveling to the other places mentioned here. Genoa is a very important city, as it is the main port in northern Italy and the capital of the Ligurian region. Personally, I did it as a day trip from La Spezia, and it was one of the highlights of my trip. 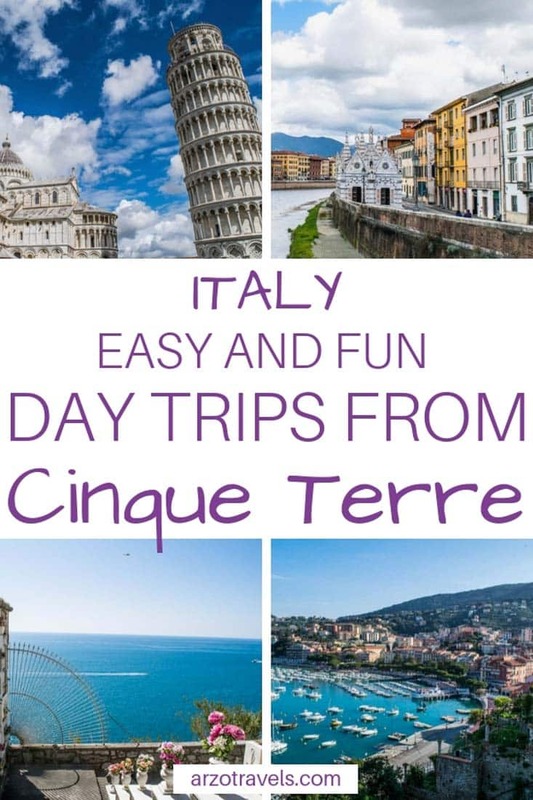 While not as famous as Rome, Venice, or Florence, it is so rich in attractions, activities, and places to see that it is one of the best day trips you can take. Well known as the birthplace of Christopher Columbus (you can visit his house of birth), there’s more to Genoa that just this. There’s Via Garibaldi, which is a historic street that holds some impressive baroque buildings, the old harbor, palazzos, Porto Antico, the biggest aquarium in the world, and lots of cafes, restaurants, and beautiful buildings. The Cathedral of Saint Lorenzo is a stunning church, both inside and out. You will also find my favorite place – Villetta di Nergro –with a waterfall in the biggest city in Italy. Hardly anyone knows about this gorgeous location that gives you elevated views of the city – for free! You also have great views from Spianata di Castelletto, which is a now-dismantled fort. One day is almost too little for this amazing city. But it is a great day trip, especially coming from Cinque Terre. 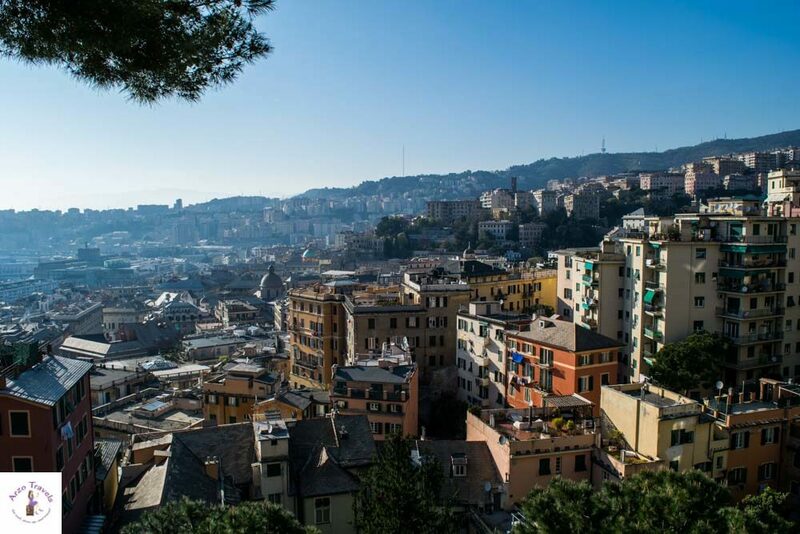 Genoa is completely different because it is big and has a lot of attractions for you to enjoy. Getting to Genoa from Cinque Terre takes a little more than an hour by train. 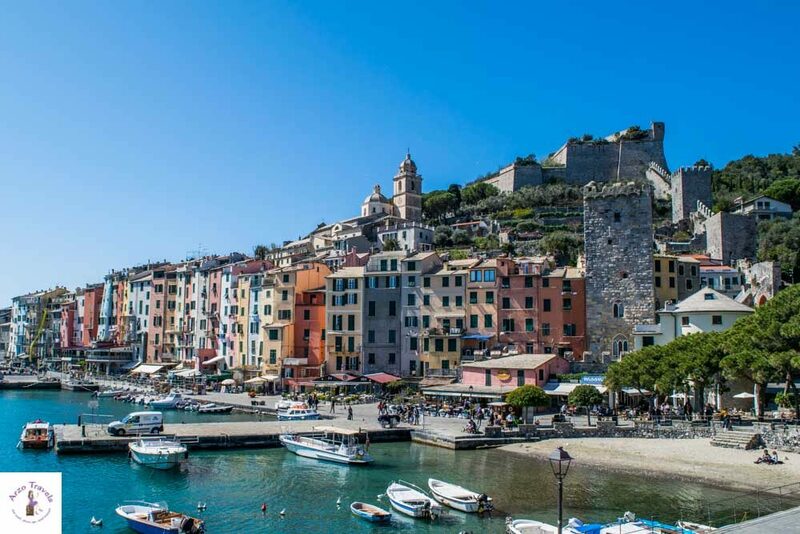 Porto Venere is a little village off the Ligurian coast and a great day trip from Cinque Terre. It is easily reached by boat from Cinque Terre, or by bus from La Spezia. 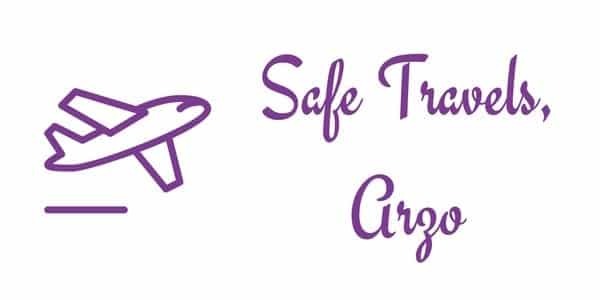 A round-trip bus ticket only costs about 5 euros. This is one of the most beautiful places in the region. 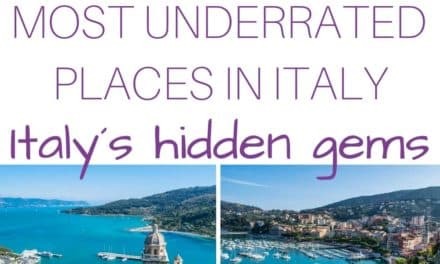 It is quite small, but still has a number of attractions – the Castello Doria fortress that sits on a cliff, San Lorenzo Church, the medieval Church of Saint Peter, and many amazing and fun promenades and houses. There is also the Porto Venere Regional Natural Park, which is a protected piece of land with a beach area, hiking trails, and dive sites. Personally, I think 4 hours or half a day is enough to enjoy Porto Venere. So, you can combine your visit with a walk to La Chiglia, which is about 1-2 km away on foot. Or, if you are feeling energetic, you can also walk to Le Grazie. I saw it on my way in and it looked very interesting and lovely. Sitting right on the coast, it also has a harbor – you could spend some time here and make it a full day. For more Portovenere travel tips check out my post on Portovenere in one day. 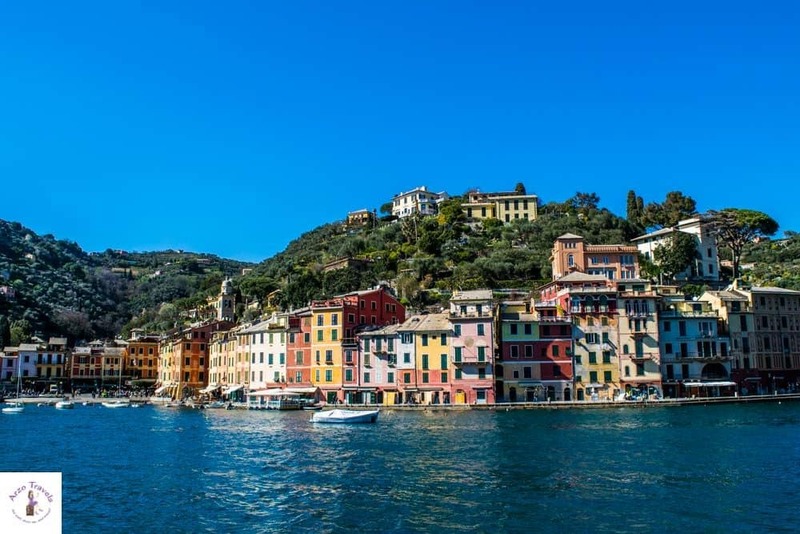 Another great day trip idea would be to Portofino, a little fishing village along the Italian Riviera. The best way to get here is to take a train from La Spezia to Santa Margherita, and then take a boat or bus the rest of the way. 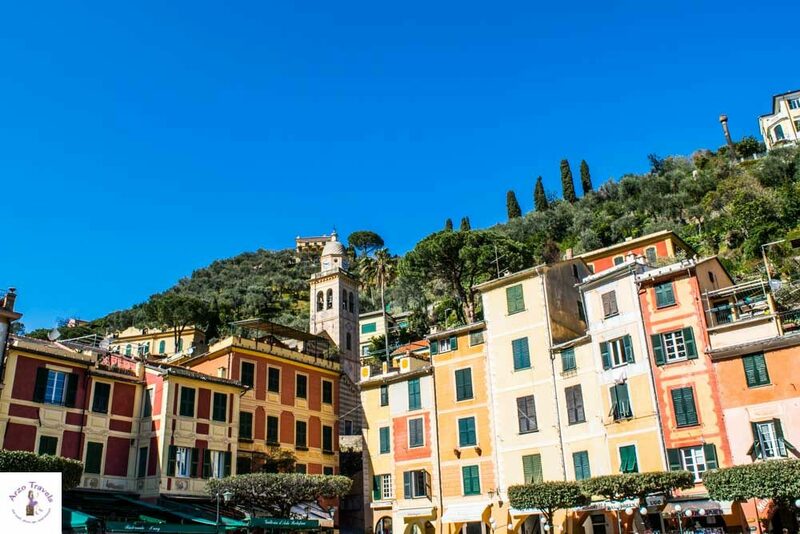 Portofino is Instafamous for its amazingly colorful houses and high fashion boutiques. This is a destination for the rich and famous, and it’s not unusual to see yachts lined up in the summer months. The village is really small, so you can see quite a lot in the main square within a few hours. 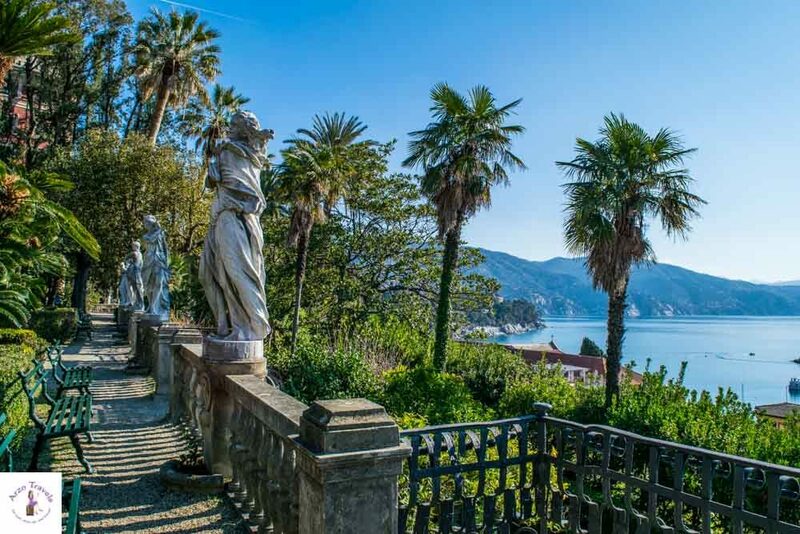 You can hike up to Castello Brown, which is a 16th-century fortress with a museum inside and panoramic views of the city and the Ligurian Sea. This is not a full day trip, unless it’s summer and you want to swim. 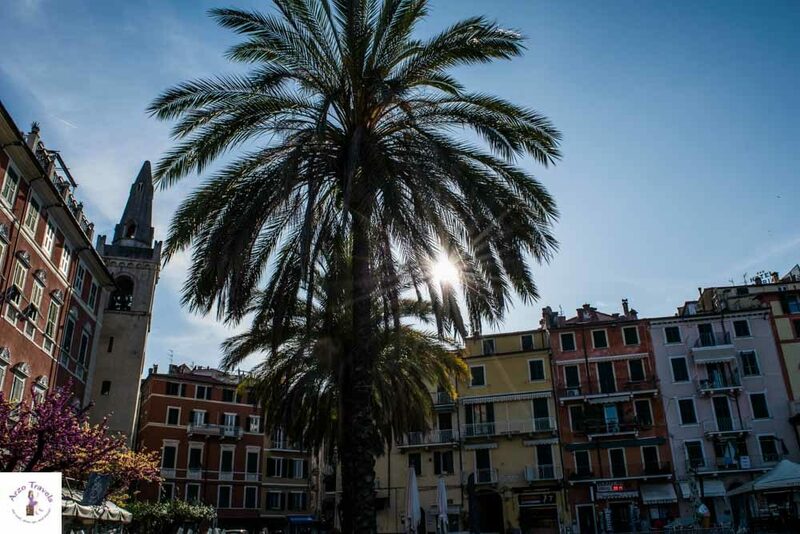 I suggest combining this trip with another town, like where you’re staying – La Spezia. This is a nice city, but it can’t compete with many of the other places mentioned. However, it is a good addition to end your day. 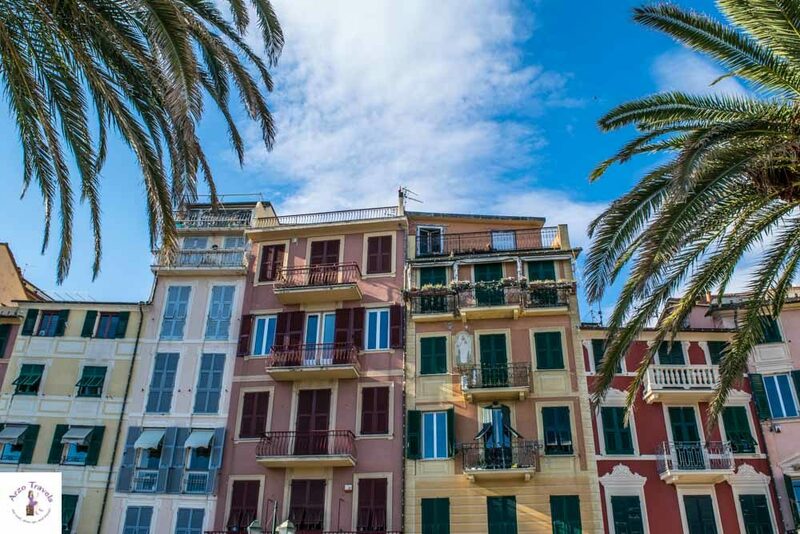 Of all the day trips in Italy, this is my favorite – the town of Santa Margherita. 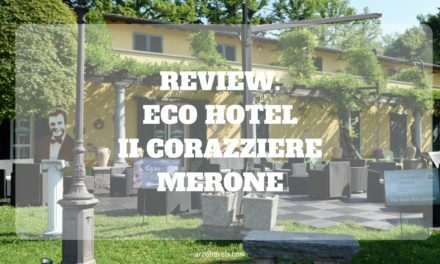 It is located near Portofino and rather underrated. I had not heard of it before, but when I visited, I was pleasantly surprised. There is quite a lot to do and see here. Santa Margherita has a train station, so it’s easy to reach from Cinque Terre and takes about 40 minutes. This town is different from the other places in Cinque Terre because it is so lively and busy. It has lots of shops and stores, and a long promenade to walk along. You should definitely see the Villa Durazzo, which is beautifully maintained and offers lovely views of the sea, and the Santuario di Nostra Signora della Rosa, a stunning church on the outside, but even more so on the inside – one of the most impressive churches I have ever seen. Santa Margherita is a really beautiful place to see and I would definitely recommend adding it to your Cinque Terre or Italy itinerary. You can combine this day trip with a visit to Portofino, taking the boat between the two. Take a day trip to one of the most famous regions in Italy – Tuscany. This beautiful part of central Italy is extremely popular with tourists, and one of its main hotspots is Pisa. 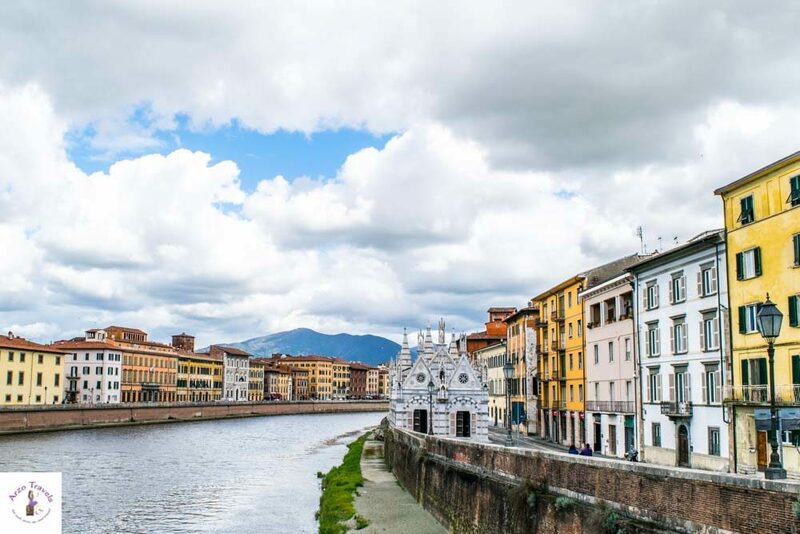 The city of Pisa is accessible by train and less than an hour away from La Spezia. 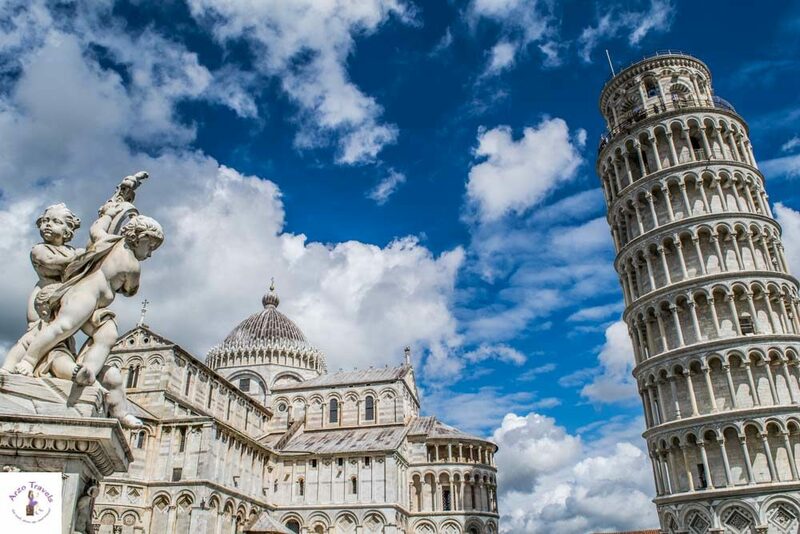 Mostly known for the Leaning Tower of Pisa, there are other attractions that are less busy – since everyone else is trying to get the perfect picture of themselves leaning against the leaning tower. 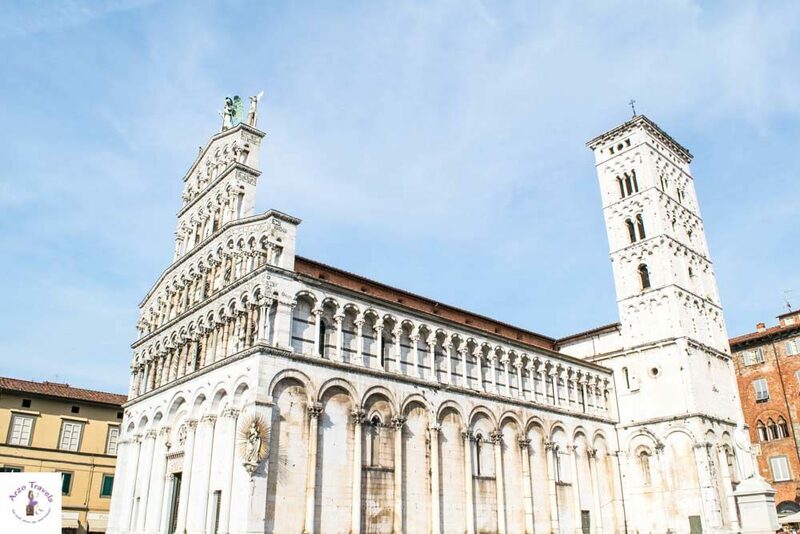 So, skip the picture and spend your time with all of the wonderful attractions Pisa has to offer. The Leaning Tower is 65 meters wide and has always tilted, and this mistake only added to Pisa’s fame. Other attractions include Piazza del Duomo, where the Leaning Tower is located; Cattedrale di Pisa, a marbled, medieval cathedral; and Camposanto Monumentale, a cemetery that features frescoes – and pay attention to one of the most unique churches in Italy: Santa Maria della Spina (see pic above). Pisa makes a good day trip from La Spezia, with lots of things to see and do. Another easy day trip from Cinque Terre is to the town of Lucca. Although located in popular Tuscany, it is not overrun with tourists. There is a well-preserved city wall that you can walk along, and lots of churches and towers to admire. The towers, like Guinigi Tower, offer great views that are not to be missed. There is an entrance fee for the towers, so think about which one to visit (and I climbed two and teh Guinigi Tower is surely the best one to climb). The churches are mostly free to visit, and there are plenty to choose from here. 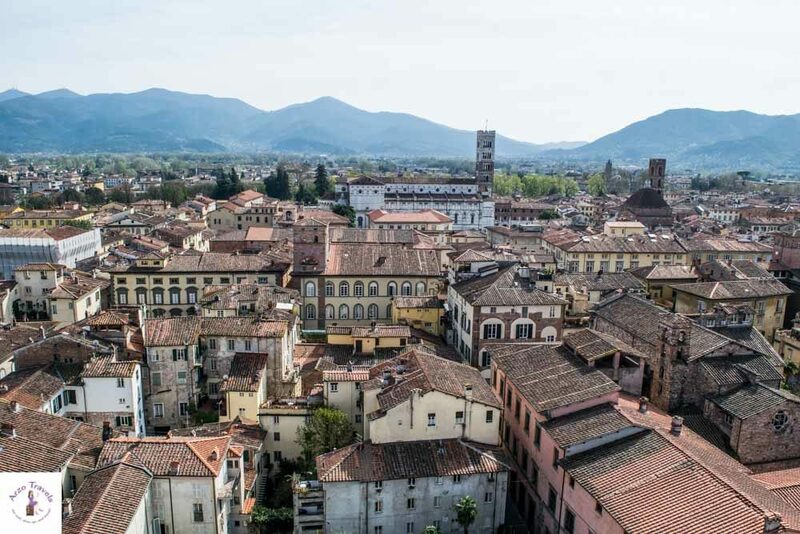 Lucca is less than an hour from La Spezia. You could combine it with a trip to Pisa. This might make your day a bit busy, but it is still doable. 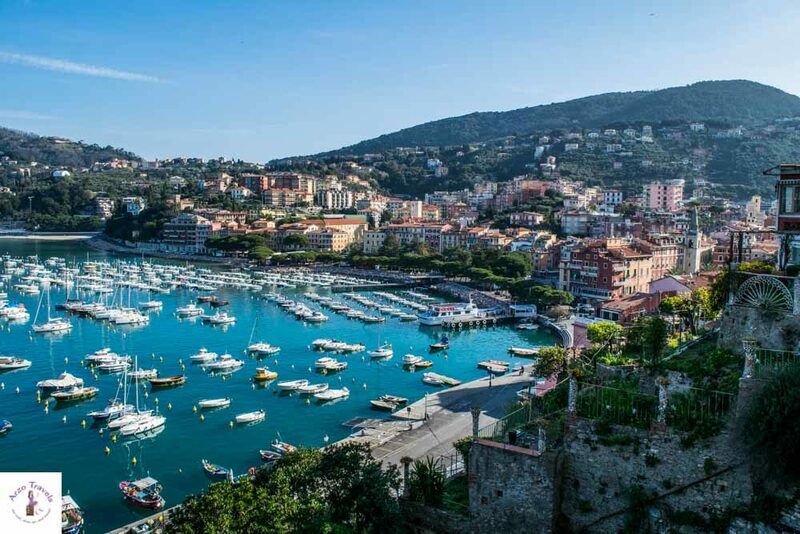 Lerici is another great option for a day trip from Cinque Terre. 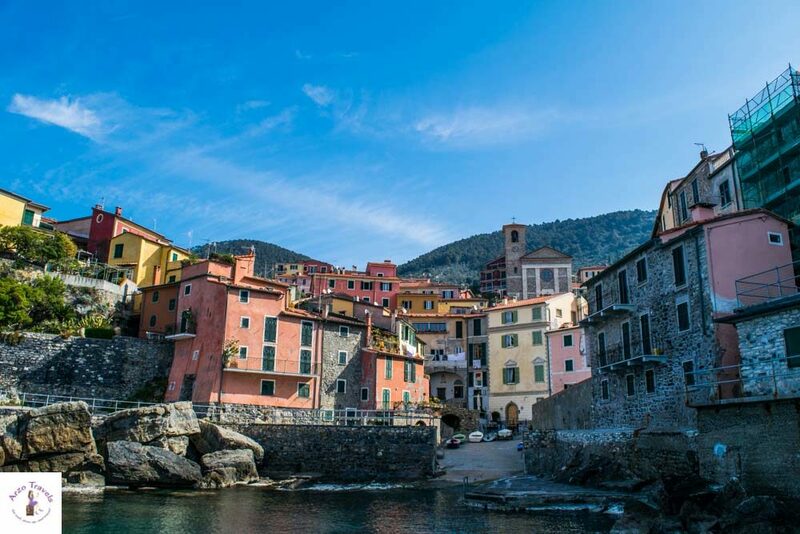 This lovely town on the Ligurian coast is as beautiful as Cinque Terre – maybe even more so. My tip is to walk along the harbor and get lost wandering through the streets – so, wear comfortable shoes. There are lots of steps to be taken if you want to enjoy the best views of the city from Castello di Lerici. I arrived by car, but it’s just as easy to get here by bus or boat from La Spezia, Porto Venere, or Cinque Terre. It is one of the most off-the-beaten-path places I have ever experienced. Also, visit Tellaro when you are in Lerici. From Lerici, head to Tellaro, which is about 4 km away – you can either walk (though it’s not a flat road) or take a boat or car. 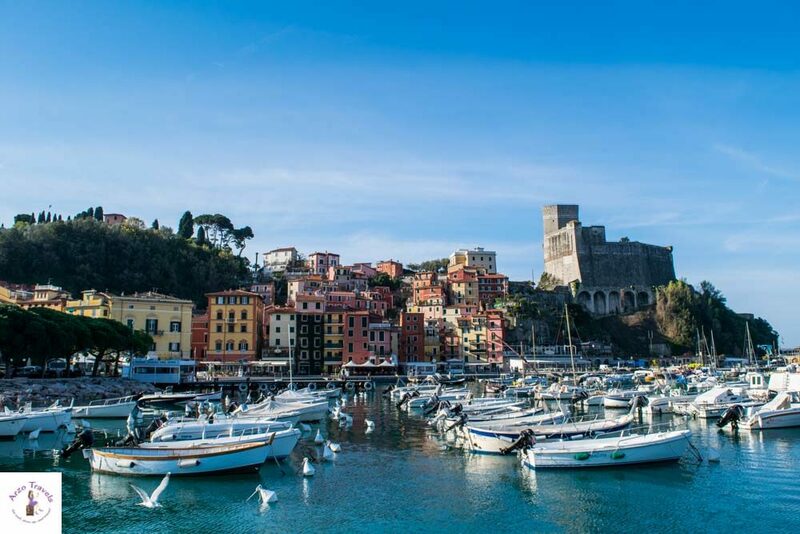 Tellaro is one of the prettiest little hamlets in Italy. Although it is quite small, it reminds me of the towns in Cinque Terre. 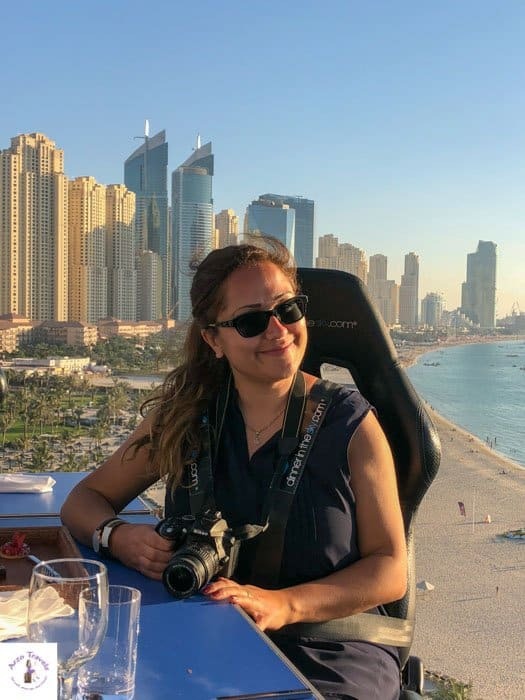 It is definitely lesser-known and has fewer attractions, but I suggest getting lost in its streets, sitting at the marina, and enjoying the relaxed Italian life on this day trip. Florence! 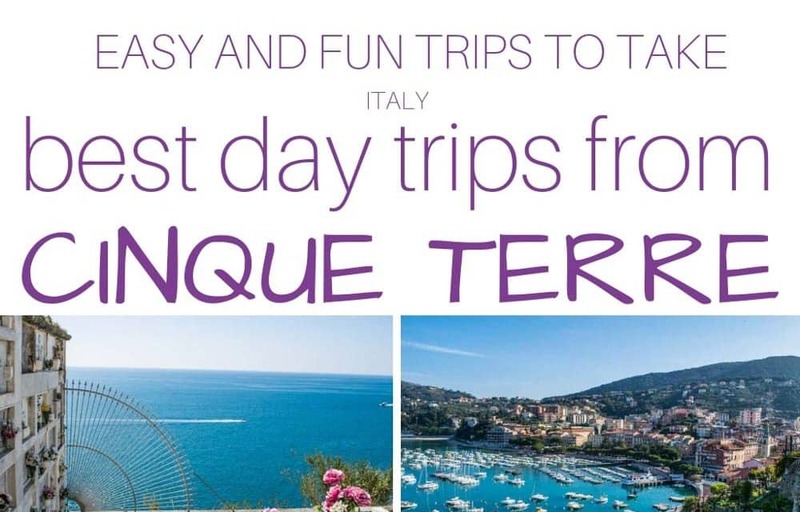 This beautiful and gorgeous city deserves more of your time but if the Cinque Terre is your base and you are short on time, then visit one of the most impressive European cities. It takes some time to get there (so, I, again, really recommend making La Spezia your base) but with the fastest train it takes less than two hours and with most of the train it takes less than 3 hours (cars are not allowed in the city center of Florence). Enjoy amazing views from Piazzale Michaelangelo , pay a visit to the Porto Vecchio – a medieval stone bridge with many shops on it, visit one of the most important art museums in Europe, the Uffizi Gallery, admire the impressive Cathedral of Santa Maria del Fiore, visit the Basicilia of Santa Croce and do not forget to visit the lively and fun Piazza delle Signoria (which also houses the replica of the David Statue). 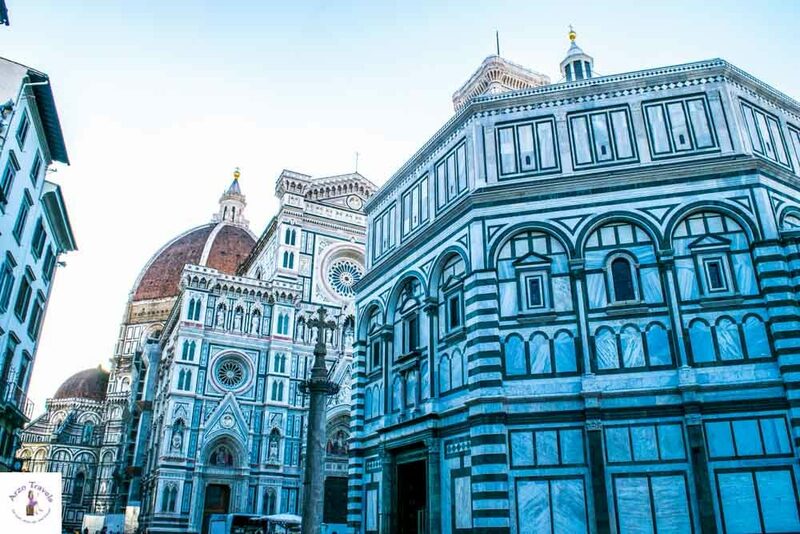 If you are in Florence for a day it is even more important to book tickets in advance in case you want to visit any place and see it from inside (like the Cathedral or a museum) because lines are crazy and with such a short time you in Florence you want to skip those lines. There are so many amazing places to see while visiting Cinque Terre. 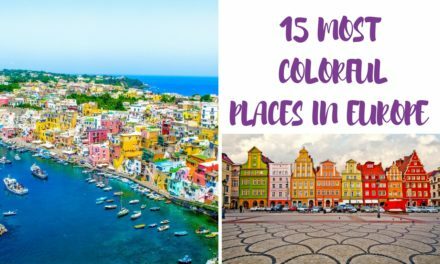 I hope this list of day trips will give you some great ideas of the places to see and things to do while in Italy. 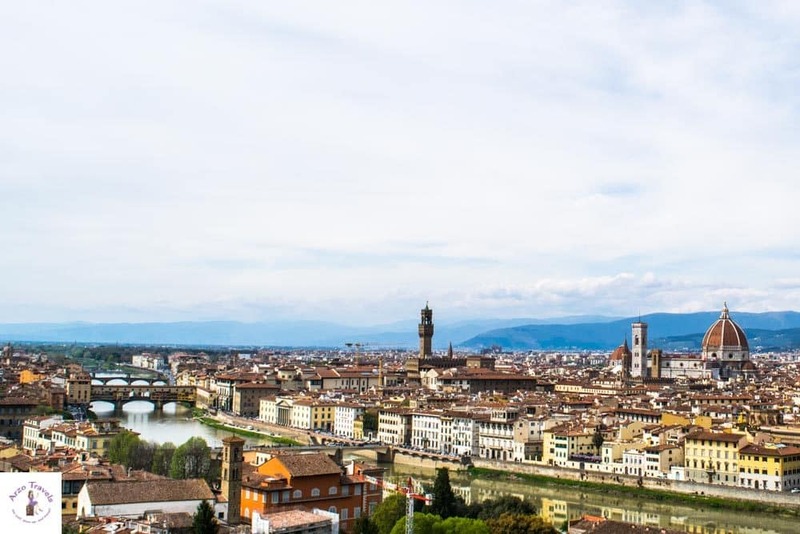 Depending on how long you stay, you can see a lot of gorgeous Italian landmarks and towns, and get a real feel for the country and its people.